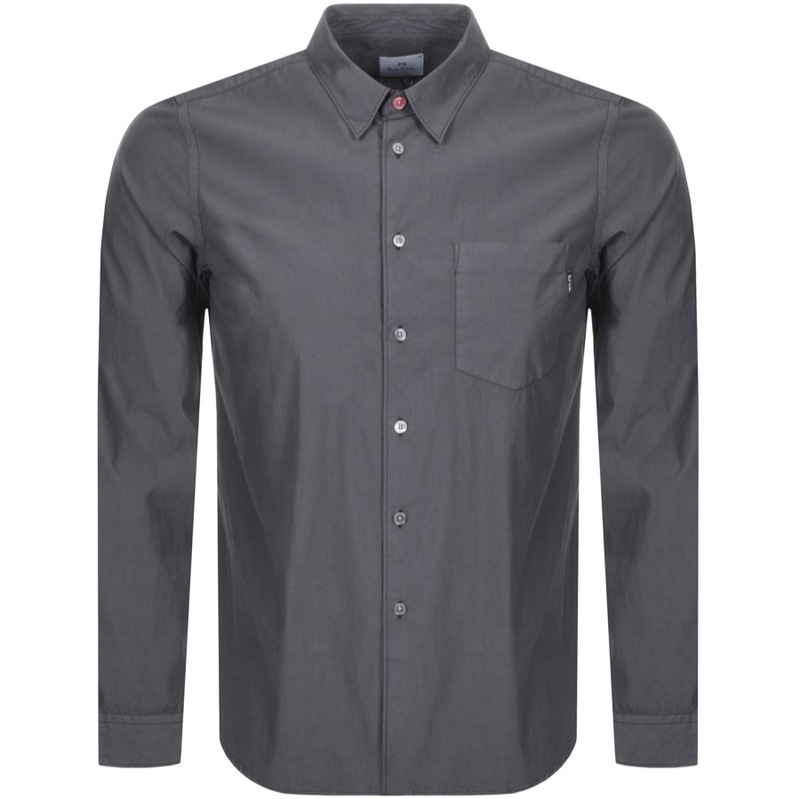 PS By Paul Smith Pocket Shirt In Anthracite Grey, Tailored Fit. Full front pearlescent button opening with a contrasting pink top button. Button fastening cuffs on the long sleeves and a welt pocket on the left of the chest featuring the signature PS by Paul Smith logo pinch tag in black and white. Curved hem design. 80% Cotton, 16% Polyamide and 4% Elastane. Quality And Fashion From The Collection Of PS By Paul Smith Shirts Live Online.